Ch Tahir Ahmad Sindhu, Advocate born on December 14, 1970 in Sarghoda, and belongs to Ch Muhammad Azam Sandhu family. Ch Muhammad Azam Sandhu family belongs to the one of the Respectful and Honest families in Sarghoda. Ch Tahir Ahmad Sindhu, Advocate is the member of the Punjab Provincial Assembly, Elected in 2013 General Election. However, many other candidates take part in Election but Ch Tahir Ahmad Sindhu, Advocate was the winner in 2013 Election From PP-30 (Sarghoda-III) seat. This member belongs to Pakistan Muslim League (N), which is powerful political party in Pakistan. If you are here to find the contact detail of Ch Tahir Ahmad Sindhu, Advocate, You can contact this member by dialing 0301-4227120, If that’s not enough, You can also use this member address which is: (a) 53/54 Hajvery Complex, 2-Mozang Road, Lahore. Ch Tahir Ahmed Sandhu son of Ch Muhammad Azam Sandhu graduated in legislation in 1985 from University of the Punjab, Lahore. He signed up with the Government solution in 1985 as well as resigned in 2005, while working as Deputy District Officer (Revenue)/ Assistant Commissioner, Sialkot. He did his Master of Laws (LL.M.) throughout 2001-03 from University of the Punjab, Lahore. His specialized areas are Constitutional Law, Criminal Law, Company Law and International Economic Law. Currently, he is exercising law as an Advocate, Lahore High Court. 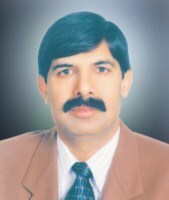 He is a Member of Visiting Faculty, Punjab University Law College, University of the Punjab, Lahore. He functioned as Member, Punjab Assembly throughout 2008- 13 and worked as Chairman, Standing Committee on Local Government & Community Development. He has actually returned to Provincial Assembly of the Punjab for the second consecutive term generally political elections 2013. His elder bro, Chaudhary Fakhar Iqbal Sandhu and his more youthful bro Chaudhary Zahid Iqbal Sandhu were also Members of Punjab Assembly throughout 2002-07. Permanent Address (1) 53/54 Hajvery Complex, 2-Mozang Road, Lahore. (2) Chak No. 19-SB, Tehsil Kot Moman, District Sargodha.